The world is yours in the Marchesa Notte™ Short Sleeve V-Neck Organza Tiered Cocktail Dress. Drop waist design with flounce skirt. 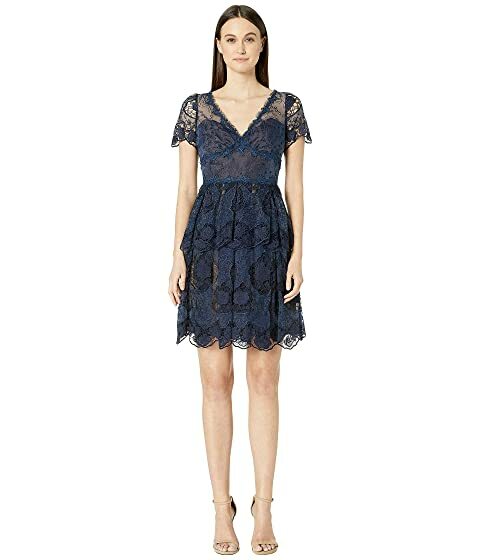 We can't currently find any similar items for the Short Sleeve V-Neck Organza Tiered Cocktail by Marchesa Notte. Sorry!